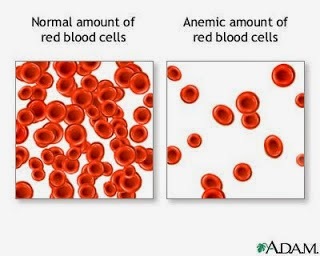 Mild anemia (hemoglobin value of 11 mg/dL) poses no threat but is an indication of a less than optimal nutritional state. Iron deficiency anemia is the most common anemia of pregnancy, affecting 15% to 50% of pregnant women. It is identified as physiologic anemia of pregnancy. Nutritional deficiency (e.g., iron deficiency or megaloblastic anemia, which includes folic acid deficiency and B12 deficiency). The hemoglobin level for nonpregnant women is usually 3.5 g/dL. However, the hemoglobin level during the second trimester of pregnancy averages 11.6 g/dL as a result of the dilution of the mother’s blood from increased plasma volume. This is called physiologic anemia and is normal during pregnancy. Iron cannot be adequately supplied in the daily diet during pregnancy. Substances in the diet, such as milk, tea, and coffee, decrease absorption of iron. During pregnancy, additional iron is required for the increase in maternal RBCs and for transfer to the fetus for storage and production of RBCs. The fetus must store enough iron to last 4 to 6 months after birth. During the third trimester, if the woman’s intake of iron is not sufficient, her hemoglobin will not rise to a value of 12.5 g/dL and nutritional anemia may occur. This will result in decreased transfer of iron to the fetus. Hemoglobinopathies, such as thalassemia, sickle cell disease, and G-6-PD, lead to anemia by causing hemolysis or increased destruction of RBCs. Associated findings. In clients with a hemoglobin level of 10.5 g/dL, expect complaints of excessive fatigue, headache, and tachycardia. Signs of iron deficiency anemia (hemoglobin level below 10.5 g/dL) include brittle fingernails, cheilosis (severely chapped lips), or a smooth, red, shiny tongue. Women with sickle cell anemia experience painful crisis episodes. Provide client and family teaching. Discuss using iron supplements and increasing dietary sources of iron as indicated. Prepare for blood-typing and crossmatching, and for administering packed PBCs during labor if the client has severe anemia. Provide support and management for clients with hemoglobinopathies. In a client who has thalassemia or who carries the trait, provide support, especially if the woman has just learned that she is a carrier. Also assess for signs of infection throughout the pregnancy. In a pregnant client with sickle cell disease, assess iron and folate stores, and reticulocyte counts; complete screening for hemolysis; provide dietary counseling and folic acid supplements; and observe for signs of infection. 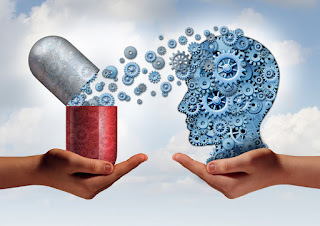 In a pregnant client with G-6-PD, provide iron and folic acid supplementation and nutrition counseling, and explain the need to avoid oxidizing drugs.